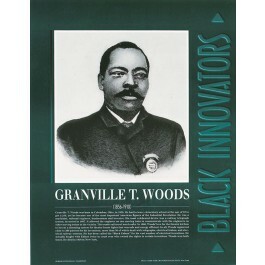 This educational poster of Granville T. Woods features a historic black and white illustration of this great African American innovator, along with a concise biography. 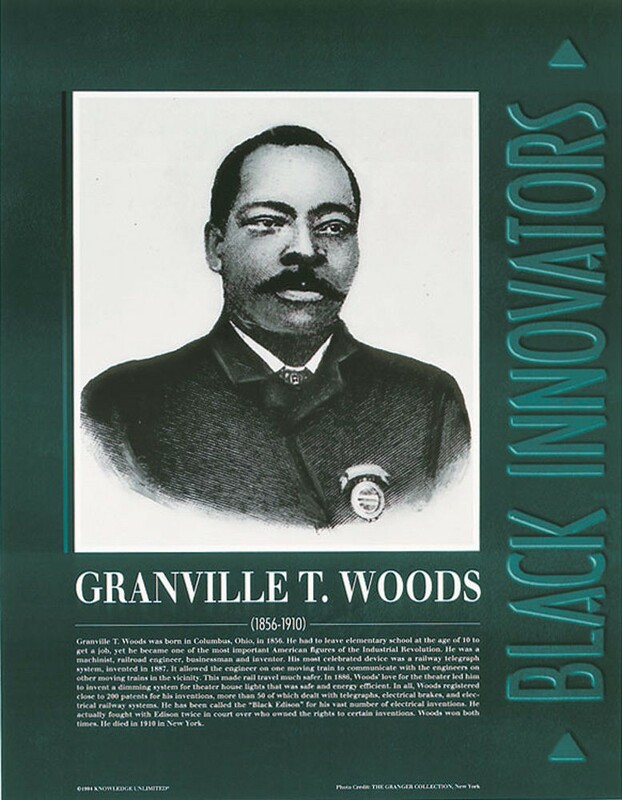 Dubbed the "Black Edison," Granville T. Woods most celebrated invention was a railway telegraph system, which he developed in 1887. This invention helped make train travel safer by allowing train engineers to communicate with each other while in motion.